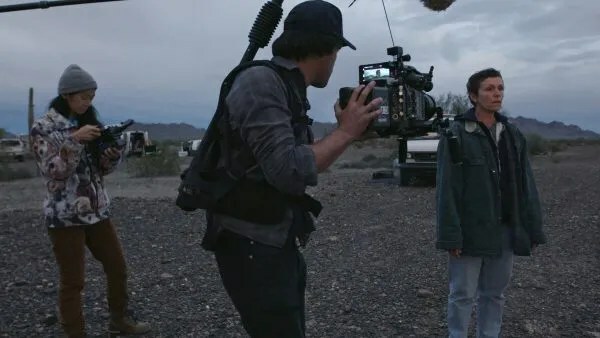 ‘Nomadland’: First Look Reveals Chloé Zhao’s Next Starring Francis McDormand!! Check It Out!! | Welcome to Moviz Ark! 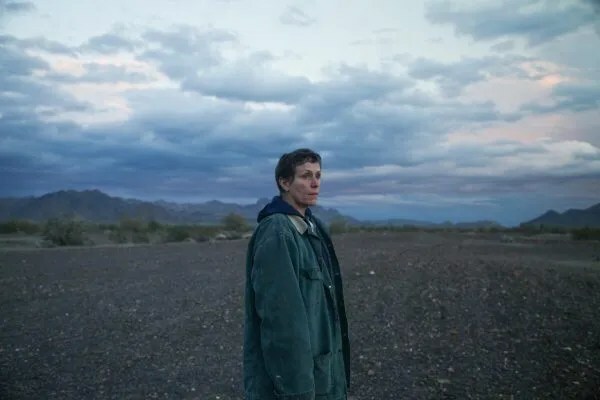 ‘Nomadland’: First Look Reveals Chloé Zhao’s Next Starring Francis McDormand!! Check It Out!! Fox Searchlight has released the first images from Nomadland, Chloe Zhao’s follow up to her acclaimed 2018 film The Rider. The movie marks the first film for Frances McDormand coming off her second Oscar win for Three Billboards outside Ebbing, Missouri and has her playing “Fern, a woman in her sixties, who after losing everything in the Great Recession embarks on a journey through the American West, living as a van-dwelling modern-day nomad.” The road movie will also, like The Rider, feature real people turned actors, in this case co-stars Linda May and Charlene Swankie. The film is based on the non-fiction book Nomadland: Surviving America in the Twenty-First Century, which McDormand and Peter Spears optioned soon after it was published in 2017. If you’ve seen The Rider, you know Zhao is a talent worth watching, and while she’s signed on to direct Marvel’s The Eternals, I’m glad that she’s still making smaller films, especially one that looks as timely as Nomadland. With Fox Searchlight distributing the picture, it will be interesting to see if it’s a player in 2019’s awards race or if Zhao will work on it until 2020. LOS ANGELES, CA February 12, 2019 – Fox Searchlight Pictures Chairmen Nancy Utley and Stephen Gilula together with Presidents of Production Matthew Greenfield and David Greenbaum announced today that the company has acquired worldwide rights to writer-director Chloé Zhao’s (THE RIDER) third feature NOMADLAND. The film stars Frances McDormand in her first role since winning the Oscar® for THREE BILLBOARDS OUTSIDE EBBING, MISSOURI, David Strathairn (LINCOLN), Linda May and Charlene Swankie. A Highwayman Films, Hear/Say Productions and Cor Cordium Production, the film is produced by Frances McDormand, Peter Spears, Mollye Asher, Dan Janvey and Chloé Zhao. ← ‘Infinite’: Chris Evans to Lead Antoine Fuqua’s Sci-Fi Film! !